Morris Garages (MG) Motor first factory in India inaugurated | IAMABIKER - Everything Motorcycle! UK-based automotive marquee MG (Morris Garages) Motor today announced the inauguration of its first-ever manufacturing facility in India, through a minimum initial investment of Rs 2,000 crore. With an initial capacity of 80,000 units per annum in the first phase, MG Motor India will roll-out its first product from the plant in 2019. 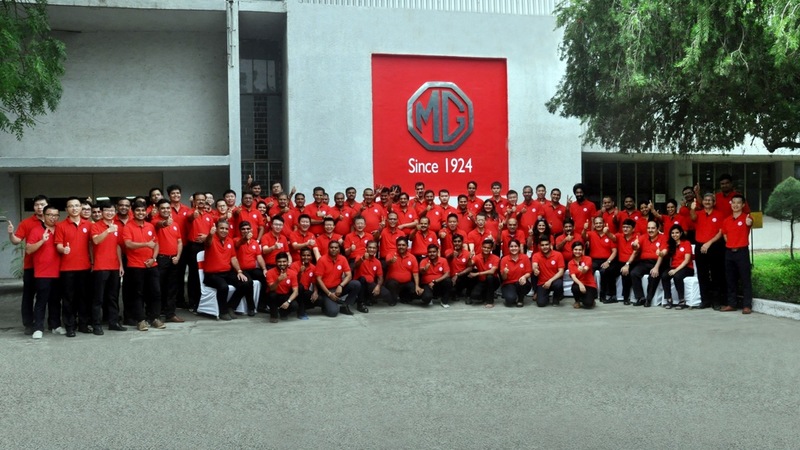 The state-of-the-art facility, spread over an area of 170 acres, will be completely revamped by MG Motor by 2019. The company has already hired an initial workforce of 70 employees at the plant. The facility will entail creation of significant number of jobs, apart from several additional indirect jobs in the state, as part of the ‘Make in India’ and ‘Skill India’ initiatives. “Today is a water-shed moment for the MG brand in India with the inauguration of our first-ever manufacturing facility here. Overall, we aim to positively contribute to the ecosystem here in Gujarat including all stakeholders by generating employment opportunities for local talent, leveraging the capable supplier base and contributing to the overall benefit of the society and community here,” said Rajeev Chaba, President and Managing Director, MG Motor India.